Author Anne Hillerman’s new book, “The Tale Teller,” will be released April 9. Anne Hillerman has picked up where her father, author Tony Hillerman, left off with his series of mystery novels set on the Navajo Reservation. 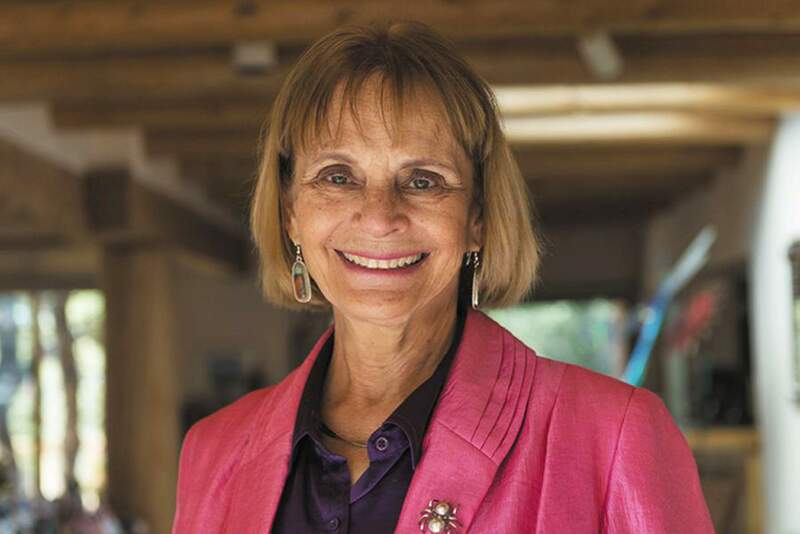 Fans of the Leaphorn/Chee mystery novels will soon have another story to add to their collections: Author Anne Hillerman will continue the series with “The Tale Teller,” scheduled to be released April 9. In “The Tale Teller,” Leaphorn, who has retired from the tribal police, takes a job investigating a missing biil, a traditional dress that had been donated to the Navajo Nation. At the same time, Chee and officer Bernie Manuelito are investigating a series of burglaries and a body that turns up along a running trail. As the three conduct their investigations, the cases begin to merge and ... well, no spoilers here. While there are plenty of books in the Leaphorn/Chee series, both by Tony and Anne Hillerman, Anne said it’s not crucial for readers to have read all of the books in order to follow along with “The Tale Teller.” In fact, she said she crafts each story to be able to stand on its own and provide readers with a satisfying experience. Hillerman, who lives in Santa Fe, said that as a former journalist, making the decision to pick up the series where her father left off was challenging, but it wasn’t something she couldn’t handle; before taking over Leaphorn/Chee, she had already written a book. For the series, she said she had to learn how to write a mystery novel; figuring out how to build characters and maintain suspense. She said to help get started, she re-read all of her father’s books, and she and her husband also traveled to many of the sites Tony Hillerman had written about to familiarize themselves with the Navajo Nation and to meet people and get a feeling for the real landscape in which her father set his stories. It’s this Southwest landscape that motivates her to continue writing books in the series, Anne Hillerman said. Plus, she said, she’s interested to see what’s going to happen to Manuelito, a strong female character, now that she is working her way up to being a full-fledged detective. And as she continues writing, Hillerman said one of the things she misses most about her father is being able to ask him for his advice about stories she’s working on. “I would say at this point, I really miss having him here to say, ‘So, what do you think about Bernie now being a full-fledged crime-solver?’ And when I get to one of those stuck places, it would just be great to call him up and say, ‘So, if this was your book, what would you do here?’” she said. Now that “The Tale Teller” is about to be released, Hillerman is on to her next novel, a story that will be set on the Alamo Reservation near Socorro, New Mexico. 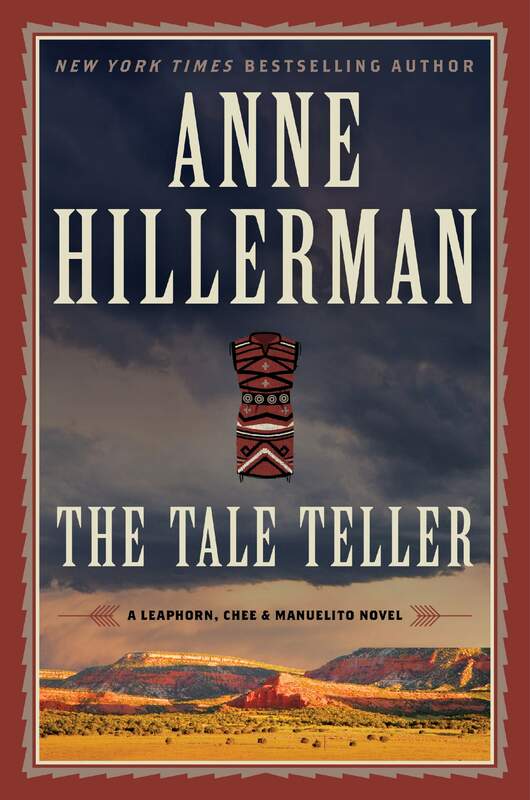 Anne Hillerman’s new book, “The Tale Teller,” will be released April 9, but it’s available for preorder at Maria’s Bookshop. To get your copy and for more information, visit https://bit.ly/2XIys5b.